Our Moving Services are top notch and affordable! Why hire a non-local company that will charge you a trip charge? Moving Forward can move your residence or business from and to any location. Our professional movers are friendly and conscientious about your valuables that are being transferred. We take pride in our work and would be happy to assist you with your move. Call today to find out more information at 920-674-9000. 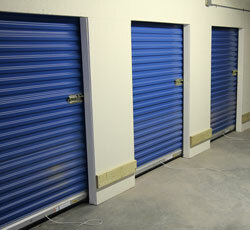 We now offer mini-storage space available for your business or residential needs. It is accessible 24 hours, 7 days a week, yet secured for your valuables safety. Our storage space is secure, dry, climate controlled, and accessible through a covered pull-up garage. You will be able to move your valuables at any time without having to worry about the varying Wisconsin weather! We now offer banquet facilities for your convenience. Our remodeled building is perfect to host anything from a family gathering to a formal wedding reception. Businesses can hold training classes and seminars here. Non-profits have been using our facilities to raise funds. Area caterers are welcome to use our facilities to assist in food and beverage preparations. The open space allows for plenty of guests to interact and our hardwood floors are perfect for that wedding dance that you always dreamed of! 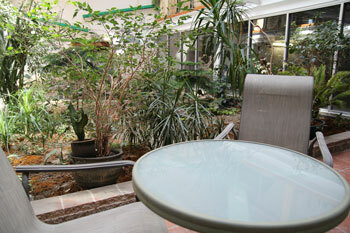 We have beautiful office space to rent for your business. 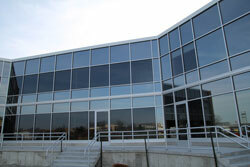 Reception areas, executive office suites, small office rooms, manufacturing space, freight shipping areas, conference rooms, and more can be easily accessed from the main door at Jefferson Area Business Center. Your clients will be impressed with the views both outside and inside. Wood floors, an atrium, and a banquet room are just a few of the amenities that we currently have. A Few Words About Energy Responsibility….